The art of coloring is no longer just for kids. More adults are now participating in this fun and relaxing activity. People use it for de-stressing to a form a meditation. In this busy world that emphasizes “go, go, go” and “busy” has become a feeling word when asked “How are you feeling?”, coloring can be the ten minute break that your soul needs. Just recently, according to this CNN article, two coloring books are in their top ten bestsellers currently. Both books by author Johanna Basford are 1) “Secret Garden: An Inky Treasure Hunt and Coloring book” and 2) “Enchanted Garden: An Inky Quest and Coloring Book” are at number 3 and number six, respectively. 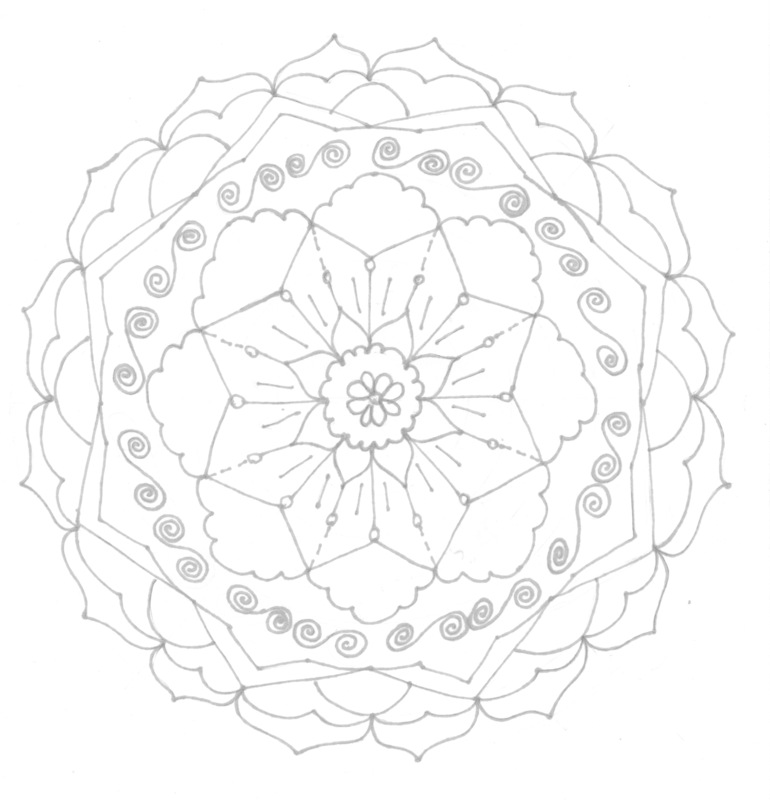 Recently, inspired by Andrea Schroeder of the Creative Dream Incubator who post tutorials of mandala’s on Pinterest and videos on her website, and Kathryn Costa of 100Mandalas, I began drawing Mandala’s about 8 months ago. I love this meditative practice. Sometimes, I free form and sometimes I use more structure, using a ruler and compass to measure out specific designs. In the beginning, I simply drew and colored them but after about a week, I decided that I wanted to be able to keep the original design in case I wanted to color it again. 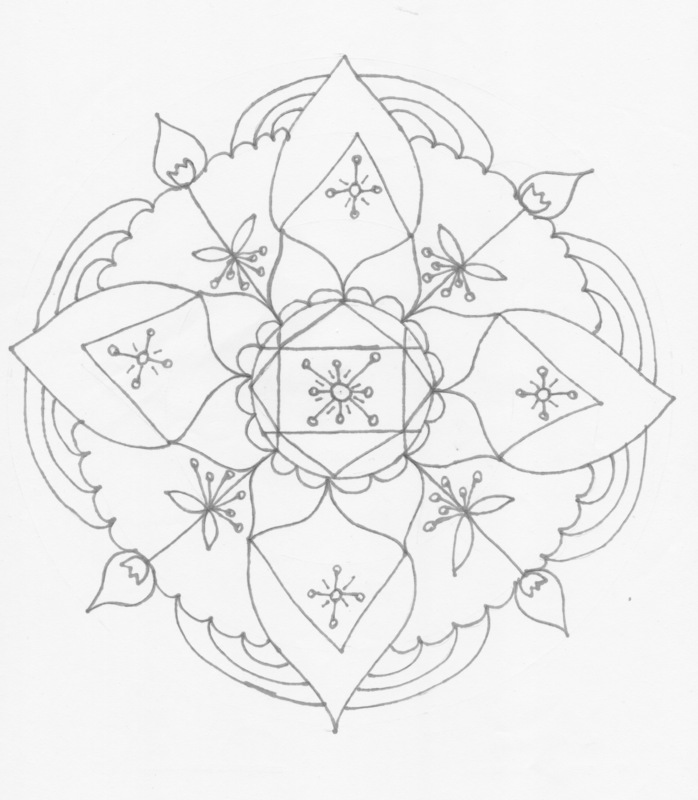 So now my practice is about 3-4 mornings a week and at least one evening, I draw my mandalas in pencil, trace over in ink, erase all the lines, then copy it. The original goes into a box with the others and I color the copy. How many I create in a week depends on how long I spend on each one and since I struggle with carpal tunnel issues, sometimes I have to stop because of pain. 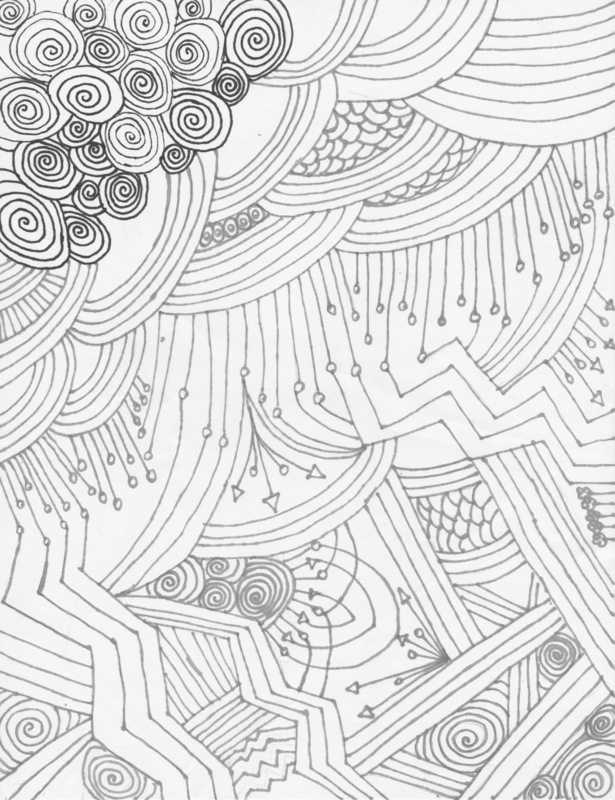 For your Ten Minute Tuesday, I bring you three free coloring pages. Just click on the names of the pages to open up a PDF document that you can save. Color your heart and soul out!